Early Christmas for the Growe Foundation! We donated a recently repaired Ford F-150 to the Growe Foundation through the Optimist Club! QUALITY SERVICE & QUALITY WORK! 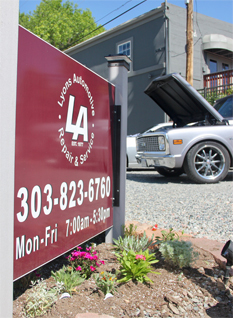 Lyons Automotive Offers Auto Repair Services You Can Count On! 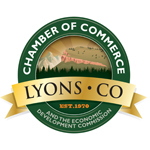 Lyons Automotive provides motorists in the Lyons, CO 80540 area with comprehensive auto repair services that include 4x4 Services, Alignment, Brakes, Car & Truck Care, Domestic Cars & Trucks, Electrical Services, Electronic Services, Engine & Transmission, Engine Maintenance, General Services, Heating and Cooling Services, Import Cars & Trucks, Inspections and Emissions, Miscellaneous Services, Quick Lube Services, Tires, Towing, Transmission Services and Undercar Services. Our goal is to offer the best services available at affordable prices to get you back on the road in no time. For a high-performing vehicle, trust Lyons Automotive with your car, truck, or van. To learn more about the services we offer, please contact us by phone at 303-823-6760 or send us an email. We also invite you to learn more about our dedication to you, our valued customer. Highly recommended. My car died on a road trip to Estes Par from Denver. They were able to take care of repairs, provided a rental vehicle while it was in the shop, and were really nice. I had some additional problems with my car after it left the shop, they were very willing to look at it again. Reasonably priced, great quality service, would even consider going back up for repairs from Denver because I believe their work is so reliable. A+ quality shop. Clean and organized. Very quality work done on my 2002 tundra. Runs like a new truck. (major overhaul). Work done is comparable to dealership quality, but for a reasonable price. Very good value for the work done. I will be back for regular maintenance and repairs. Price quote on quality tires came in less then all the big box dealers like discount tire. These guys saved the day! 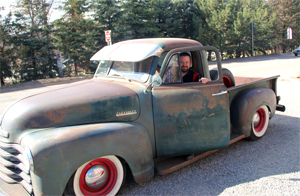 I was driving through Lyons on the way back to Kansas City– a ten-hour drive– when my car started making strange thumping noises. I happened to see Lyons Automotive & pulled in to see if they could help. I explained my situation & they immediately offered to take a look. A half hour later, they told me that the skid plate on the bottom of my car had come loose. They screwed it back in & wished me a good drive. They didn't even charge me for their time. The rest of the drive home was smooth & worry-free. Super friendly, professional auto shop. They did a great job fixing our two cars, and I would definitely recommend them. I'm a new customer, but it is very apparent from the beginning this is a top notch service center. I worked with Wayne and Chuck and they were great. Polite, professional and pleasant guys! They called me right away, they had a detailed estimate with fair pricing, they also did an overall check at no extra charge. They offer free "loaner" cars as well. I had an issue with my Jeep, it had just been serviced by another shop and they advised me the other shop had messed up the installation of my water pump resulting in a broken off fan and busted pullies and serpentine belt. They actually called the other shop and explained the problem which resulted in the other shop paying my bill. I never thought that would happen, but it did. Thanks to the guys at the Lyons Automotive! I would recommend their service to anyone in the Lyons/Longmont area! Amazing shop, service and employees! My low oil light came on while we were driving through Lyons. I simply pulled into the parking lot at Lyons Automotive and was promptly greeted by a service man in the parking lot. I told him what was happening with the low oil. In seconds he had the oil guy come out, checked the oil and had oil in the engine ready to go. It was some of the best service I've ever had! Very thorough with my vehicle and very reasonably priced. I thought it would have hundreds of dollars, and it wasn't even close! Thank you for taking care of me and my vehicle!